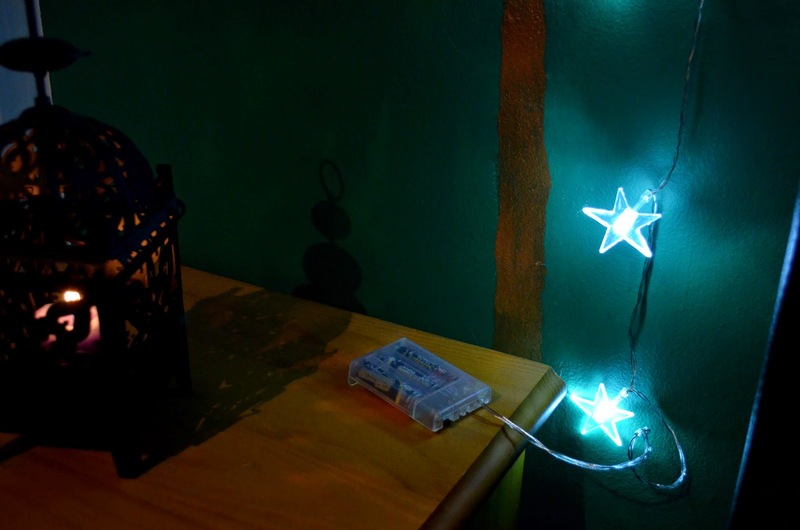 Home » Other » The best place to buy Christmas fairy lights? The best place to buy Christmas fairy lights? I’ve said it over and over again, fairy lights make EVERYTHING magical. It’s one of the reasons that I love Christmas time. So as you can probably imagine my face, when I was sent these beautiful LED acrylic star lights – I was delighted! LED lights are battery powered so no more scary looking, overloaded socket points. No need to drag your tree to the corner with the power points and best of all, no need to worry about those electricity bills! You just pop some batteries in and you’re good to go! I’ll be perfectly honest and say I was slightly surprised at how bright the lights actually are. 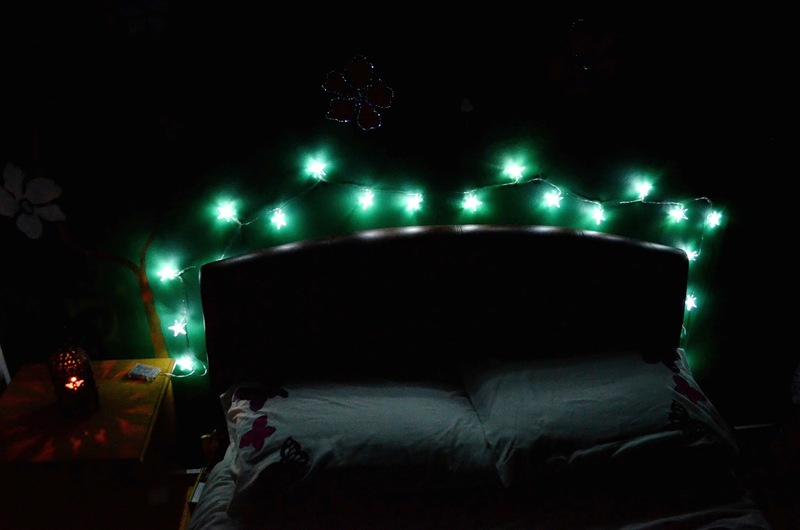 The pictures taken in the bedroom were photographed in complete darkness and you can see just how bright they are. Another reason you may want to switch to LED bulbs is that they use 80 percent less energy than conventional tree lights. Aside from being able to save on bills, they also last longer and stay cooler than traditional bulbs because they don’t have a filament – no more overheating! It was apparent that the lights themselves were of great quality as soon as I had taken them out of the box. The LED stars aren’t flimsy and don’t look like they will be breaking any time soon. Additionally, the transparent wire that binds the lights together is also quite thick so I know that it won’t be snapping or breaking after just one use. 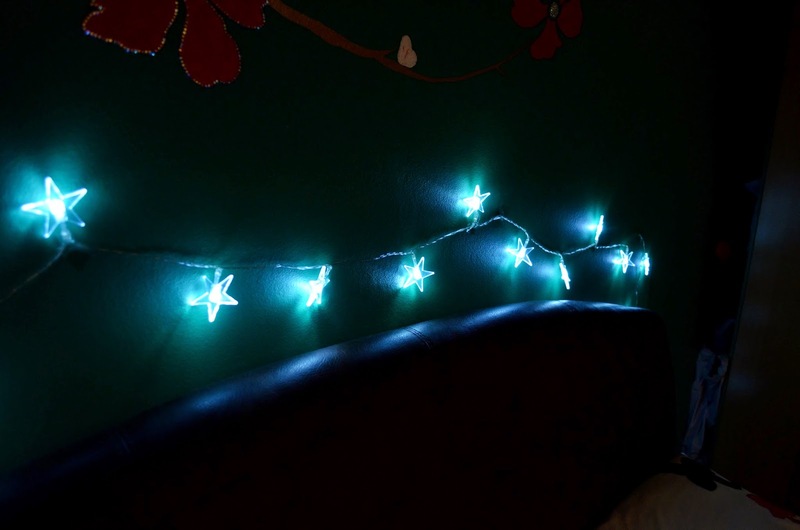 Most of all, I love that they’re so easy to move around, you can literally decorate anything at all; Fireplaces, headboards, Christmas trees, ornaments, you name it and these lights will instantly make your room look stunning. Most of you may know by now that I work in a refuge and so the real reason I wanted the chance to review these was so that they would also be put to some use and make the refuge look extra Christmas-y. I got the children to help me put them up and the lights went down as a huge hit, bringing out the festive cheer in everyone! At £9.59, you really can’t go wrong. These beauties can be purchased from LED Hut, by clicking her e[link removed].